In the 1920’s Italian immigrants flooded into sunny San Diego, looking to strike it rich in the then booming tuna industry. As they set down roots, they formed what is now referred to as Little Italy, located just northwest of downtown. This cultured neighborhood is the oldest of its kind in the city. It is a historic gem, and weaving through the streets, soaking up the smell of fresh made pizza, is a great way to spend a weekend afternoon. If you head out on Saturday, you will catch the weekly Mercato, or farmers market. By 8am, 200 tents are set up spanning 5 blocks of the historic district. There are heaps of farm stands with peak produce to choose from. Artisan food vendors range from H&B’s Guac Shop to Pacific Beach Peanut Butter. And don’t forget the prepared foods. You can snag an authentic French crepe, some killer Thai, or some homegrown comfort food. After the market, stop by the Mona Lisa Restaurant and Deli. 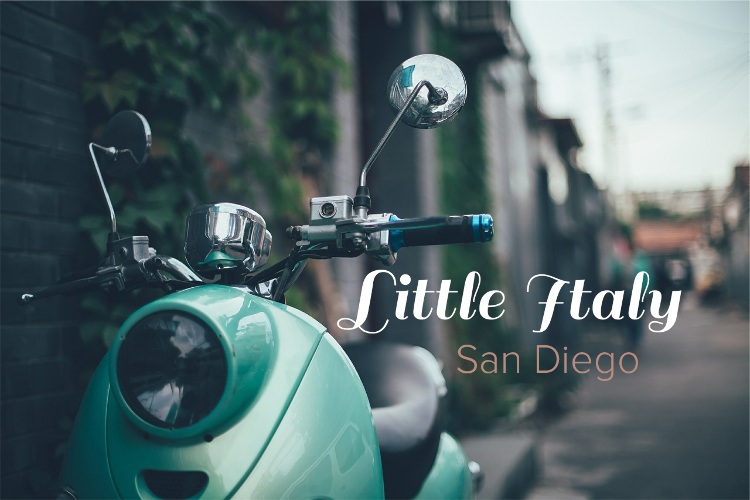 This hallmark Little Italy destination was established in 1956. This deli and restaurant combo shop is deeply steeped in Italian tradition. If you are in the mood for dinner, their menu is chock full of iconic Italian favorites. And don’t forget to stop by their deli. It features handcrafted Italian cheeses, meats, pasta and more. Pick up a few ingredients and cook up an Italian feast at home. The community also puts on a summer film festival where they show none other than iconic Italian films. For a $5 attendance fee, you can enjoy titles including Torneranno I Prati and Malavoglia shown in their charming native language.